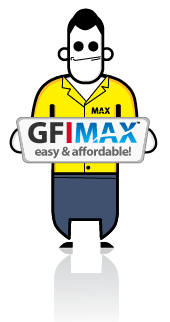 Yesterday GFI announced that they bought HoundDog Technology and rebranded it GFIMAX. I am going to miss seeing that doggy, but ya have to admit, MAX is cute too! I have been using this technology for a couple of months now and I think you will you will really like it. MAX lets you pick and choose which what you monitor and what reports and alerts you get. It is the missing monitoring and reporting for those of you who have moved to SBS 2008. It is the perfect way for the gun shy break fix consultant to stick their toes into the world of managed services, without signing a long contract or committing to spending a ton of money. With MAX you only pay for what you use. MAX is very afforable! You see all your clients servers and workstations in one console. Hop on over to MAX’s House and download the 30 day fully functional demo today.